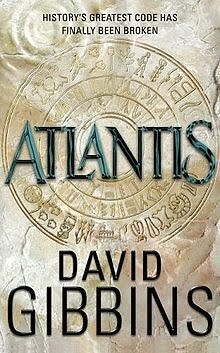 Atlantis is the first book from David Gibbins, an underwater archaeologist and novelist who has published papers on marine archaeology as well as several works of fiction. 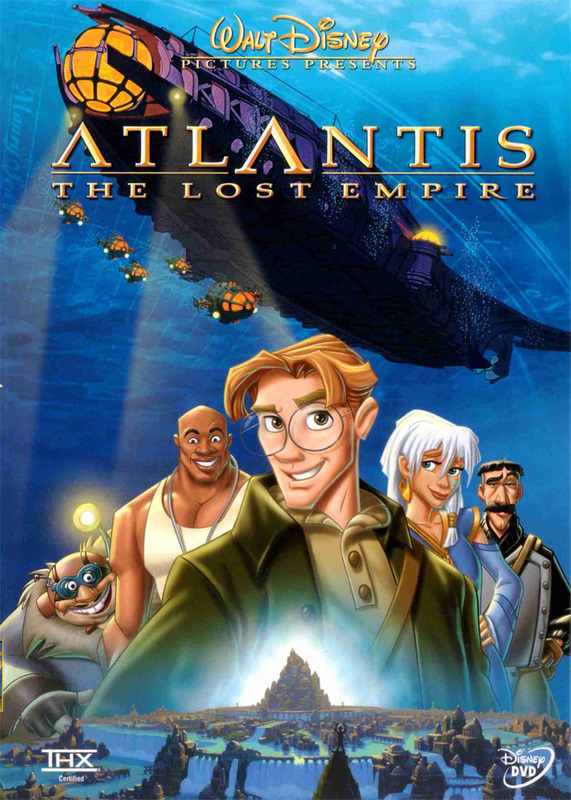 Like The Da Vinci Code and others before it, Atlantis takes a loose bit of mythology (the fabled underwater city of Atlantis) and attempts to expand the myth with 'facts' taken from a variety of 'real' sources and from Gibbins' own imagination. In short: it's The Da Vinci Code, underwater, with more technical jargon. The novel also tries to tie in a Tom Clancy-esque cold war aesthetic and touches on the threat of 'antique piracy' as an excuse to bring in some action sequences and a generic terrorist plot which no-doubt aids the book's filmic prospects. Whilst promising at the start, Gibbins get waylaid too often by talking too technical to his reader and piling in unimaginative action sequences at an alarming rate. The terrorist villain is particularly weak and when his lair (a James Bond-alike cliff-side dwelling) was revealed, the image of a man stroking a white cat was too obvious to ignore or banish. There's not enough tension, threat or good writing here to call this enjoyable. As with other books and films (think National Treasure as well) of this ilk before it, there is some enjoyment to be had in the author's blending of fact and fiction and Gibbins does particularly well to present a viable theory on the lost city which has both promise and potential. It's just a shame that he can't quite deliver on this throughout the novel. The book's sold more than 800,000 copies according to Gibbins' own website and its Wikipedia entry lists the un-sourced fact that a film is in the works. The third entry of this Google search seems to hint that a TV series may have been muted at one point whilst the distinct lack of any decent info suggests that if a film is forthcoming, it's still a long way off. Still, with Disney's Atlantis: The Lost Empire the only recent production of the myth which springs to mind, there must be a market for this story somewhere. 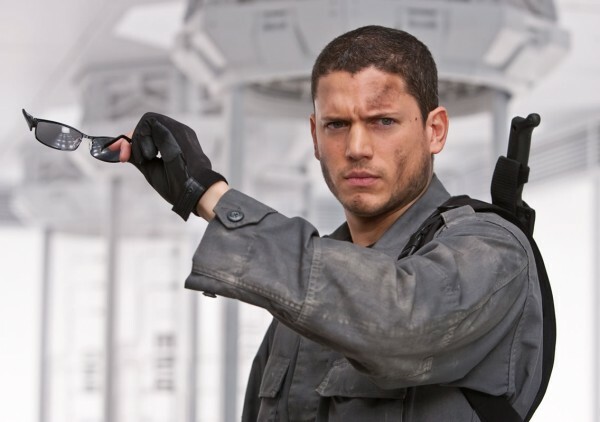 The protagonist, Jack Howard, is part Indiana Jones, part Jack Reacher, part John McClane and therefore careful casting would be needed to ensure someone capable of both action and smarts takes the role. Mark Wahlberg tried to do just that in The Happening and failed, showing how difficult it is to bridge the gap between the two. When mentioning action these days you feel you have to reference Sam Worthington, who would no doubt bring the box office revenue required, whilst Nicolas Cage is the right age and has done this sort of stuff before. A more considered, but equally box-office friendly, choice could be Christian Bale who, in his mid-thirties, might fancy taking on a more mature role. With one franchise on the go already though, don't get your hopes up and someone of the standing of, say, Wentworth Miller, would probably beat his own mother to death to front something like this. Jack's partner, Costas Kazantzakis, of Greek lineage, is tailor made for Elias Koteas (his appearance even loosely fits him) whilst Katya Svetlanova, the 'babe-with-a-brain' who gets all the scientists uber-excited, in the style of Megan Fox' Transformers character, would fit, say, Ivana Milicevic or, staying with the Bond theme, the beautiful and talented, Rosamund Pike. The film would probably address some of the problems with the book, namely in the need to explain everything, with certain elements suitable to be encompassed via images alone. It's doubtful though, that all the problems with the book could be overcome and unfortunately, for us, this screams 'two-star thriller'. Gibbins has written other works of fiction in the Jack Howard series since Atlantis hit in 2005 and a full list of his works, along with their summaries, is available on his website. Eh, I don't know. If it isn't actually Indina Jones or James Bond, it usually just isn't up to par. This book has a nuclear submarine. And a volcano. Eh. They could easily go the way of...every other boring thriller of the kind. How about The Spellman Files? Those scream movie. Edgar - yeah, I hope these words won't come back to haunt me but it would end up as a National Treasure clone which, no-one really wants. Simon - not read any of them. Only just finished reading Winnesbrg, Ohio which you recommended though - I'll look up The Spellman Files at some point soon. I enjoyed it but I didn't love it if you know what I mean? I really liked Anderson's writing and it is definitely 'proper' Literature but it also left me a little bit cold. Didn't really warm to anyone apart from the main guy, mainly because all the other characters are only given a couple of pages. Definitely glad I read it though so cheers for the rec. Article up next week I think. I didn't even really like the main guy, he was a bit of a twit, and I think it's a credit to Anderson that he can make the secondary characters so richly defined in a few pages. Was very slow, though. Glad you liked it.